Do you like ice cream? I realized when I was searching for something to go with the letter I that I very much like ice cream. So here are a few ice cream snaps. In Germany they have ice cream cafés. They usually open the beginning of May and all they serve are ice cream concoctions. I cannot wait to have an amazing Eisbecher when we are there in June. Mochi ice cream is pretty amazing and a must have when we have Japanese food. How amazing are these gelato “flowers”. It was so cool to watch when they made these. We found the little shop in Raleigh last summer and will definitely stop again when we go this summer. Nitrogen ice cream anyone? It’s pretty good but supposedly pretty bad for you. We have it as a treat once in a while. 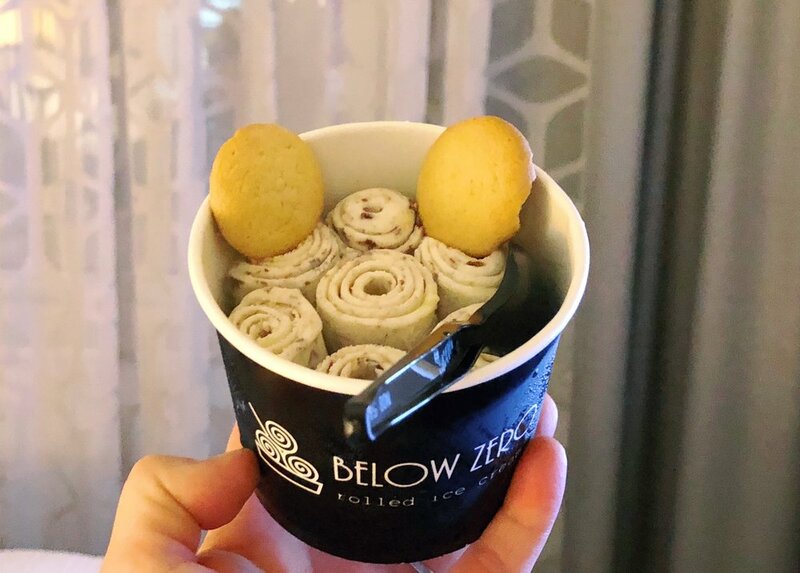 My absolute favorite right now - Savannah Banana - rolled ice cream from Below Zero in Savannah. It’s sooooo good. This was Ally’s s’mores rolled ice cream cup. Doesn’t it look amazing? And now I want ice cream. What about you?